Gembridge is a consultancy specialising in the ‘for purpose’ sector managing recruitment of leadership roles including CEO, general management, fundraising, philanthropy, operations and program delivery. Michelle Varcoe, Director is actively involved in the not-for-profit sector, particularly fundraising and philanthropy, and brings strong networks, knowledge, understanding and recruitment expertise to each and every assignment. Simply, Gembridge connects people and proactively searches for a ‘gem’ to appoint someone with the right values, skills, career aspirations and culture fit. Gembridge works closely with ‘for purpose’ organisations that make a difference in our community including welfare, health, medical research, education, arts & culture, sport & recreation, advocacy, social enterprises and membership groups. NGO Recruitment are a specialist recruitment service provider focusing on delivering non-government organisations with Board Members, CEOs, Fundraising, Marketing, Operational and Administration staff locally and internationally. NGO Recruitment is a specialist recruitment service provider focusing on delivering non-government organisations with board members, CEOs, fundraising, marketing, operational and administration staff locally and internationally. Specifically NGO Recruitment is the leading Australian agency in the recruitment of fundraisers having recruited over 500 fundraising professionals at all levels and disciplines for over 350 organisations. NGO Recruitment consultants have a deep understanding of fundraising techniques and importantly are able to identify, attract and accurately assess fundraising professionals with an emphasis on cultural fit. NGO Recruitment provides a full recruitment service that includes advertised selection and search. 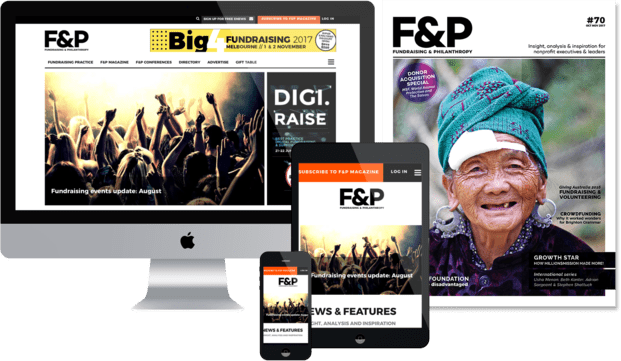 We believe our specialised experience in recruiting fundraising and philanthropy professionals within the not-for-profit sector makes all the difference when selecting the right person for your organisation.